Blog Java and J2EE Tutorials How to Implement Simple Circular ArrayList in Java? 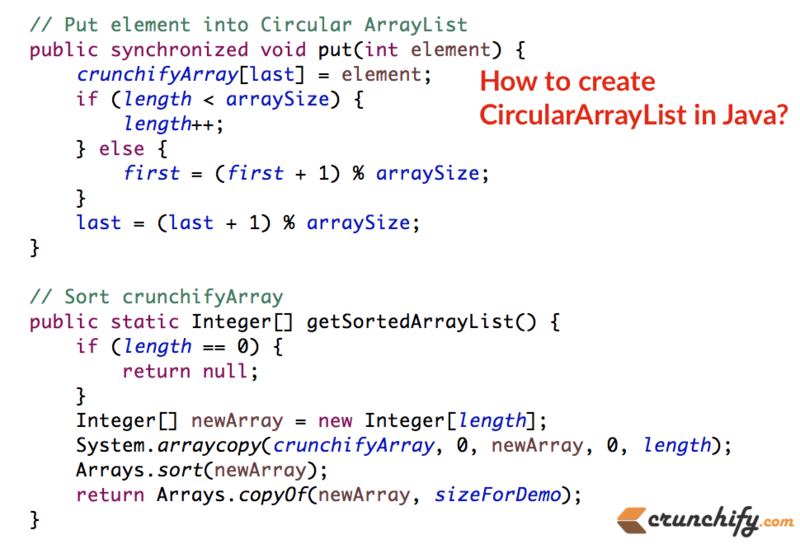 In this tutorial we will go over details on how to implement Circular ArrayList. There are numerous examples we have on Crunchify about ArrayList and this one will be with Integer Array.